From sun kissed outdoor activities to chic cocktail evenings we’ve collected only the best bachelorette party ideas Tampa.Thinking of a beachy bachelorette? We know there is a lot to plan so let Butlers in the Buff help you get started! Butlers in the Buff are the perfect way to spice up a low key evening in your Tampa hotel suite or if you’re planning a bachelorette party at a Siesta Key beach house. Handsome, outgoing and wearing very little, only a bottom revealing apron, collar, cuffs and bowtie! After a day on the beach have the girls come over for a decidedly grown up take on the all nighter. Perfect idea for a chilled out bachelorette party. Have everyone wear their most fabulous pajamas and swap out the hot coco and chips for chocolate martinis and hors d’oeuvres platters served by a hunky Butler in the Buff! He can even assist with your bachelorette party games which you can download for free. Pillow fights are optional, but make sure to pull a couple of practical jokes on whoever falls asleep first. View how you can use our Butlers for party games and additional bachelorette party ideas Tampa. Head over to nearby St. Pete’s for the afternoon and sip on classic tiki bar cocktails like the scorpion bowl or Mai Thais! Try Jimmy B’s or Hula Bay and relax with your toes in the sand enjoying the waterfront views. Looking for a great outdoor ideas for your Tampa bachelorette? Try a night paddleboard tour with Get on Board. The boards and paddles light up and light your way along your peaceful moonlight exploration of Turtle Beach. This company also delivers your rental! Perfect if you have rented a fabulous beachside villa and aren’t too fond of leaving. 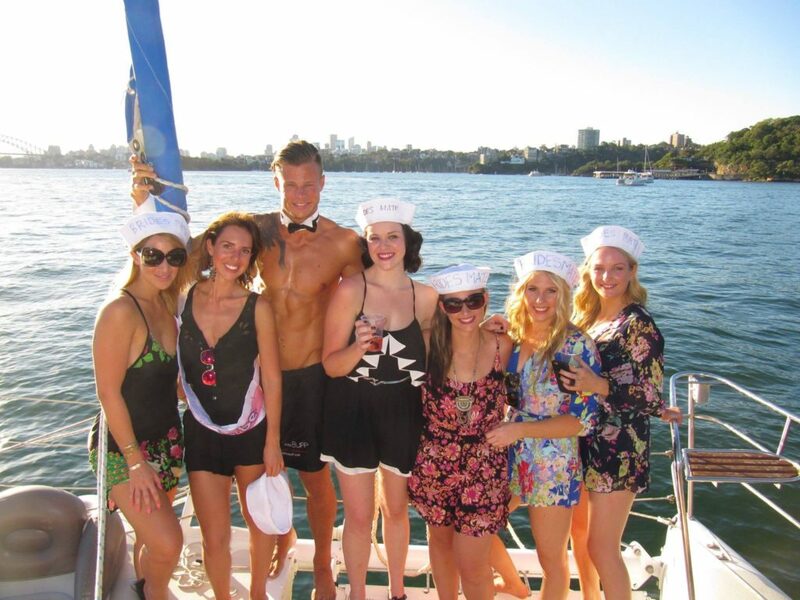 Learn how easy it is to hire one of our buff butlers he’ll be a great addition to any mid-morning bachelorette brunch or evening cocktail hour. Try this cute bachelorette party idea for your Tampa bachelorette party. Assemble little beach kits for your guests using white, cream, blue or pink pails with a coordinating beach towel (even better with guest’s name printed on!). Add a pair of personalised sunglasses, temporary personalised tattoos and a little hangover kit for a sweet and summery gift! If you’re looking for further fun, fabulous and beachy bachelorette party ideas Tampa, visit our blog for more inspiration! Do you know someone who would make the perfect Butler in the Buff? We are always recruiting across the US and Canada. Ask them to apply online here.